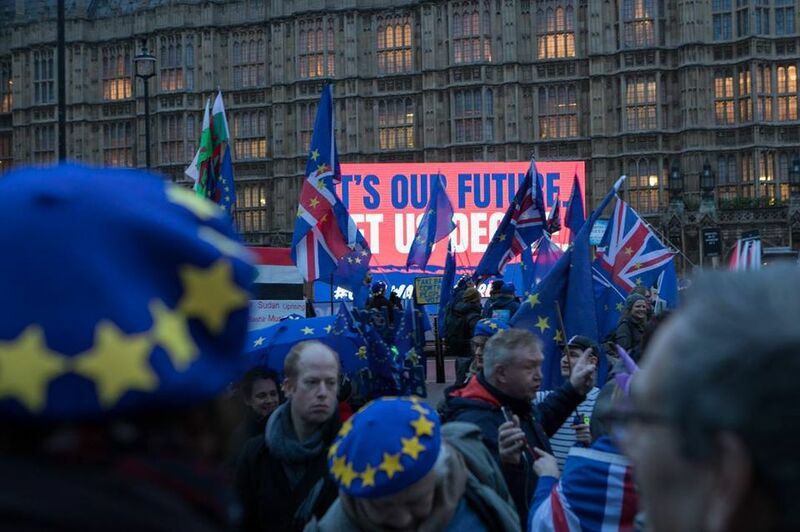 Following the resounding rejection of the British Prime Minister Theresa May’s Brexit deal last night, and the vote of no confidence today (16 January), leading artists have expressed their anger and frustration over the political crisis. Yesterday, the House of Commons, including one third of Tories, voted against May’s deal by 432 to 202, the largest ever defeat for a UK government. May, who is now facing calls to delay Brexit, has three days to deliver an alternative plan 72 days before the UK is due to leave the European Union. The British sculptor Anish Kapoor, who was born in Mumbai, says Brexit is an attempt “to resurrect Britain’s colonial past”, and needs to be put to rest. “Brexit seems to have brought out the very worst in us—Britain is more intolerant, more xenophobic, more insular than I have known it to be since the 1970s,” he says. If Brexit goes ahead, Kapoor believes we will spend the next decade in-fighting, deflecting from the very real and pressing issues of poverty and deprivation in the UK. He says it it delusional to think that Brexit will give us sovereignty and, therefore, power. “Brexit is a further sign of our broken society. It is our duty as citizens to find ways to come together and overcome the deeply sad and disorienting effects of Brexit,” he says. The Turner Prize-winning artist and “remainer” Mark Wallinger says he would like a second referendum, but points out that the negotiation process “has been entirely opaque–it was always going to be “the computer says ‘no’”. The German photographer Wolfgang Tillmans, who has been an outspoken critic of Brexit since the referendum in June 2016, is also calling for a second referendum after May’s defeat. Speaking to the Guardian earlier this month, Turner Prize-winning Deller pondered that he should have produced his t-shirts during the Brexit campaign. “Humour is important in these conversations. It was probably used during the campaign but I can’t remember anyone using it. [Vote] Leave at least used imagery; they were cleverer with words and images, more viral,” he says. The British photographer Rankin offered a more optimistic view, posting on Instagram one of his images of a woman’s face painted a shimmering blue to look like the EU flag. The caption reads: “I still love EU”.